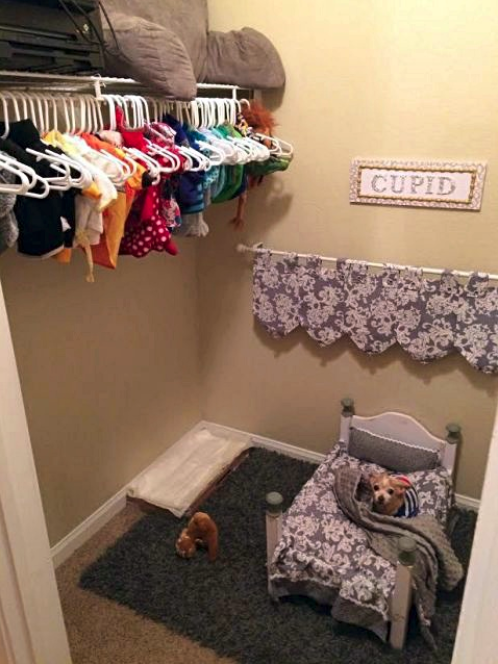 The cozy space would provide Cupid some comfort while Mom was away. 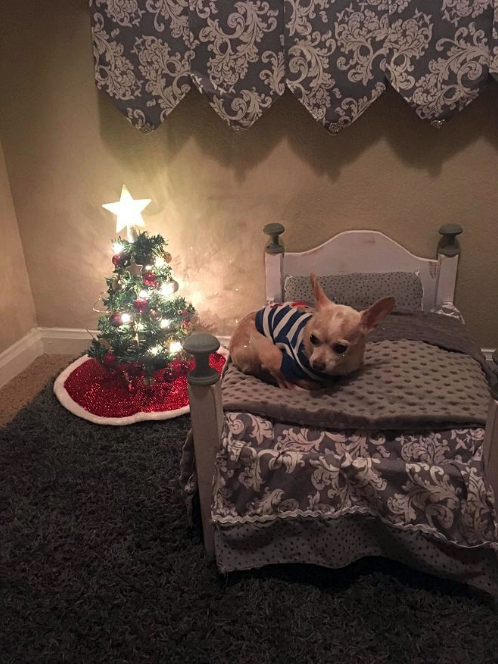 This room consists of a tiny four-post bed and comforter along with a matching curtain above, all designed by Besty’s mom. 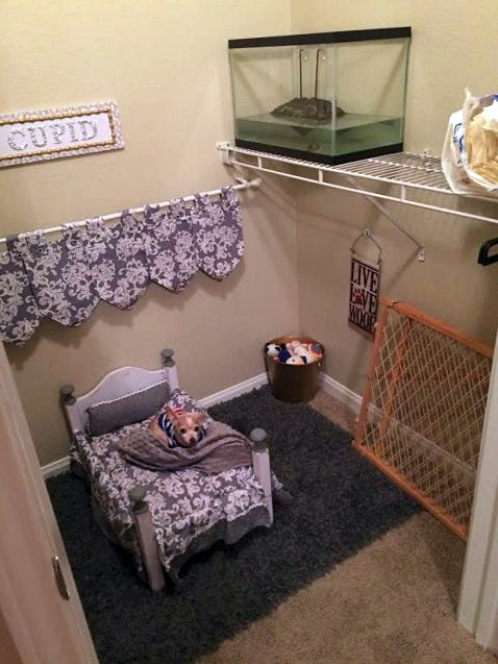 Above the curtain is a sign with Cupid’s name, and the floor is covered with a shag rug.